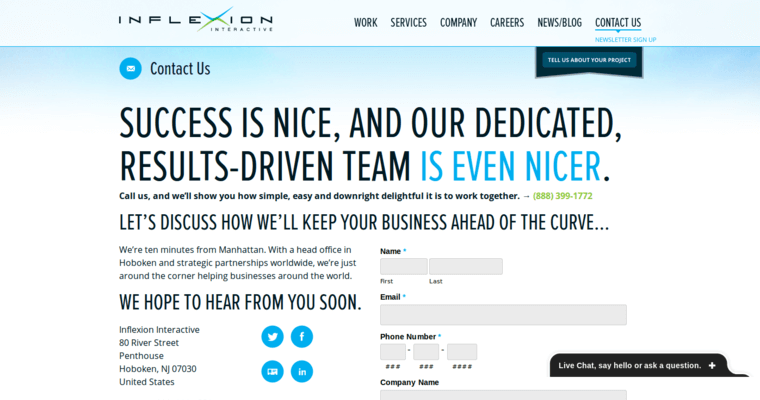 Inflexion Interactive offers Web design services to customers in Hoboken, New Jersey and other neighboring cities. 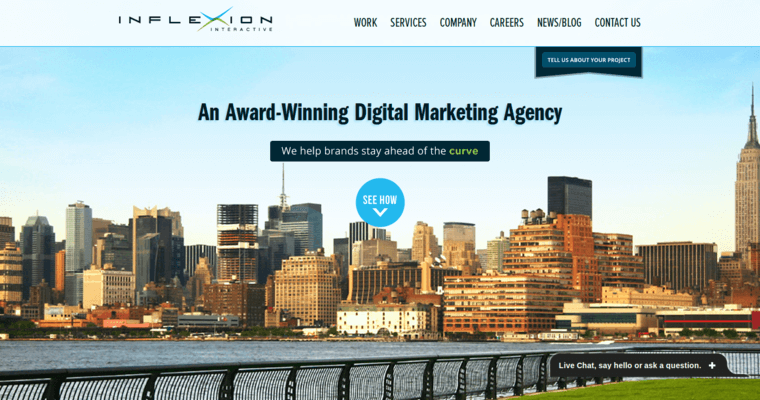 This agency is quite close to Manhattan and other boroughs of New York City. 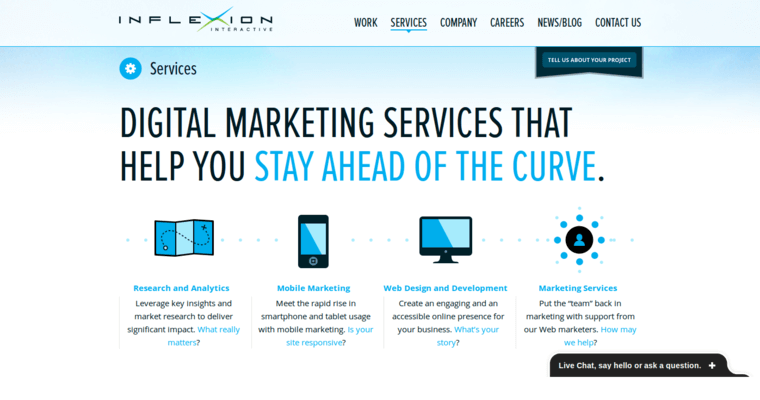 Therefore, Inflexion Interactive often builds custom websites that have urban themes and motifs. The in-house graphics department knows the best ways to create eye-catching visual content. For example, iconic skyscrapers of NYC are usually inserted into Web pages that are likely to get high visibility. The goal is to make great impressions upon a local audience in the NYC metro area. Inflexion Interactive is also skilled in building custom apps for mobile platforms such as Android and iOS. This company employs several skilled technicians who understand iOS, Android and Windows Mobile. Additionally, such technicians are fluent in scripts such as PHP, jQuery, MySQL, Ruby on Rails and many others. This type of syntax is absolutely critical for advanced Web development.